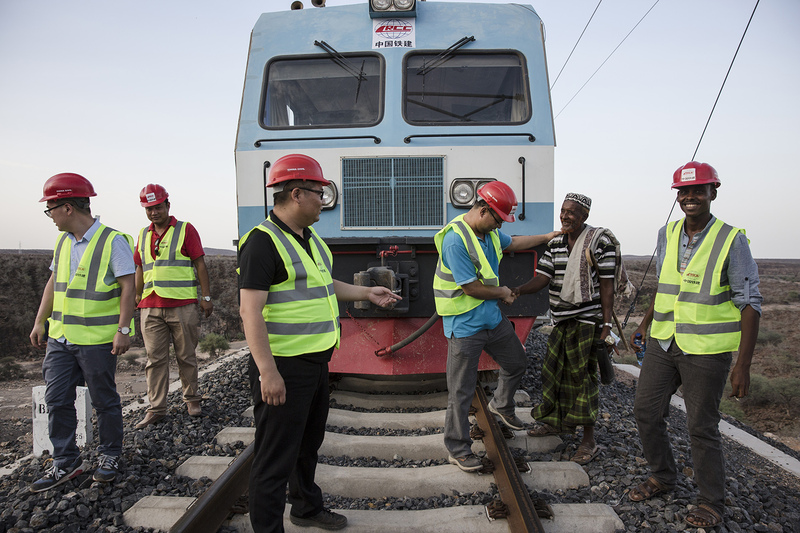 A local resident greets Chinese and African workers on the Addis Ababa–Djibouti Railway, during a trial run in Addis Ababa, Ethiopia, September 28, 2016. Every week seemingly brings a new announcement of a Chinese-financed mega project somewhere in Africa. Last week’s announcement of a $5.8 billion power station in Nigeria that will be financed and built by Chinese state-owned companies is typical of the scope and scale of Chinese lending activity in Africa. And with the Chinese money spigot opening even wider as Beijing ramps up spending on its hugely ambitiously One Belt, One Road global trading initiative, the Chinese are seemingly more eager than ever to loan money. All this Chinese money must be very tempting for Africa’s cash-starved, infrastructure-challenged states, but a growing number of analysts warn they should proceed cautiously. “Over-investing in physical infrastructure without establishing corresponding governmental institutions and legal structures can lead to economic and financial fragility,” says Ricardo Reboredo, a researcher who studies Chinese development in Africa. Additionally, he adds, all those new ports and roads can also be used to make it even easier for low-cost Chinese imports to flood local markets in Africa, adding yet more pressure to the economy. Reboredo joins Eric and Cobus to discuss the infrastructure financing dilemma in Africa and whether it’s wise for African leaders to borrow so much money from China.